Pending home sales decreased 1.0% in August, reflecting the gradual withdrawal of investors as the supply of distressed properties at bargain prices continues to decline. 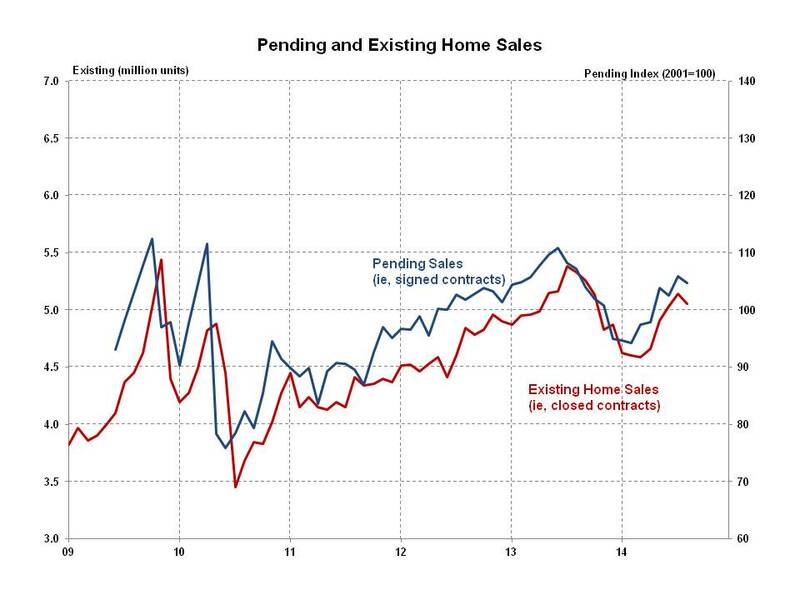 The Pending Home Sales Index (PHSI), a forward-looking indicator based on signed contracts reported by the National Association of Realtors (NAR), decreased to 104.7 in August from 105.8 in July. The August reading was down 2.2% on a year-over-year basis. The August PHSI increased 2.6% from last month in the West, but declined modestly in the other three regions. Year-over-year, the Northeast increased 1.6%, while the South remained unchanged. The West declined 2.6% and the Midwest declined 7.6%. Last week NAR reported a 1.8% decrease in August existing home sales, but firming job and economic growth suggests that the existing home market will remain healthy into the fall. The housing recovery has moved towards higher ground reflected by strong builder confidence and a six-year high in August new homes sales.